(CNN)Iran has completed the necessary steps in a deal to restrict its nuclear program, meaning international economic sanctions are lifted, officials from the EU and the U.N. nuclear watchdog agency said Saturday. 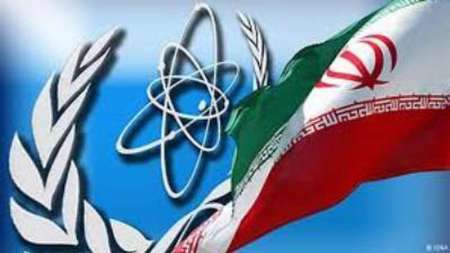 "Relations between Iran and the IAEA now enter a new phase. It is an important day for the international community. I congratulate all those who helped make it a reality," said Director General Yukiyo Ama of the International Atomic Energy Agency. European Union Foreign Affairs Chief Federica Mogherini said that the economic sanctions against Iran were lifted now that the country has joined the UK, United States, France, Germany, China and Russia in "the field of peaceful users" of nuclear energy. President Barack Obama signed an executive order lifting some of the U.S. economic sanctions on Iran, the White House announced. Secretary of State John Kerry issued a statement confirming the IAEA has verified that Iran "has fully implemented its required commitments." "Iran has undertaken significant steps that many, and I do mean many, people doubted would ever come to pass. And that should be recognized, even though the full measure of this achievement can only be realized by assuring continued full compliance in the coming years," Kerry said. Kerry called the world a safer place because of the developments. "Today marks the moment that the Iran nuclear agreement transitions from an ambitious set of promises on paper to measurable action in progress. Today, as a result of the actions taken since last July, the United States, our friends and allies in the Middle East, and the entire world are safer because the threat of the nuclear weapon has been reduced," Kerry said. UK Foreigh Secretary Philip Hammond echoed Kerry's comment saying the deal "makes the Middle East and the wider world a safer place." He added that Iran's nuclear program has been substantially rolled back. Iranian President Hassan Rouhani welcomed the IAEA announcement.